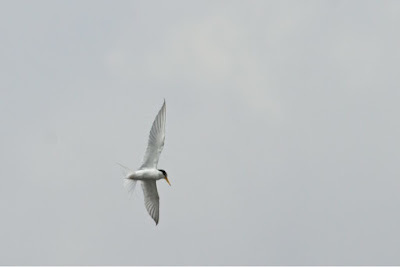 Little Tern in Tokyo today. Crap photo but a new one for my Japanese list. Edited on my tablet so IQ is probably terrible. It isn't that bird Staurt. Lovely to see one of these Terns. Looking forward to seeing lots more terns in the next couple of weeks. Checking out camera stores in Tokyo, huh? Not enough time or money Russell!!!! !